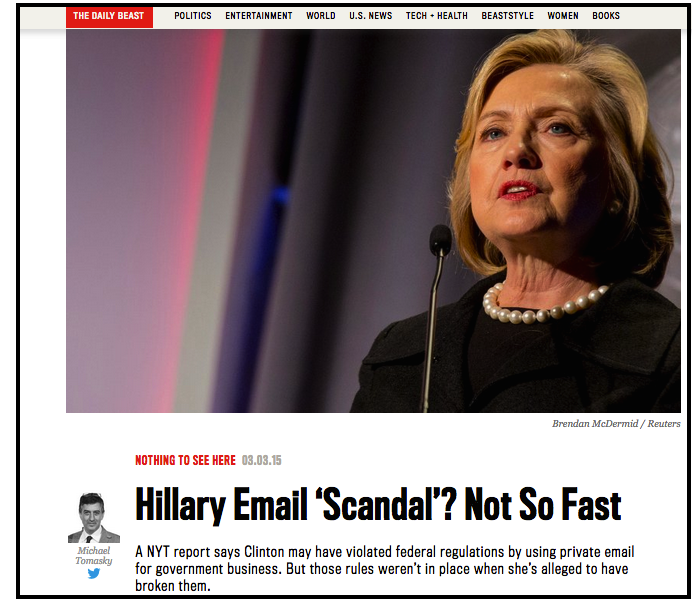 Hillary’s email scandal does n’t mean the State Dept. will get any better at preserving its e-mails. Jason Leopold recently reported that the government argued — and lost — that it could not make former Secretary of State Hillary Clinton’s emails public until January 2016. The State Department filed court papers this week in connection with a VICE News FOIA lawsuit for Clinton’s emails maintaining it needed so much time because, “The collection is … voluminous and, due to the breadth of topics, the nature of the communications, and the interests of several agencies, presents several challenges.” The judge, however, “ordered the agency to being releasing the documents on a rolling basis.” The State Department’s focus on the HRC emails is likely bad news for FOIA requesters. Last week The Washington Post’s Al Kamen reported on the State Department’s use of “the Hillary Dodge” to delay processing pre-existing FOIA requests, highlighting a 2001 Archive request for Henry Kissinger’s 700-still-secret telephone conversations (telcons) that the State Department petitioned the US District Court that it needed more processing time, citing a huge “surge” in FOIA lawsuits and processing delays related to Hillary Clinton’s emails – all of which are unclassified. The Washington Post’s Al Kamen recently highlighted the problem of incorporating control markings into email templates after obtaining an email from Janet Webb, deputy director of Enforcement Operations at the Department of Justice, on possible commuter traffic. The email warned DOJ employees that a demonstration scheduled in downtown DC might affect commutes home, and to “plan accordingly.” The bottom of the email is stamped “ATTORNEY-CLIENT PRIVILEGED COMMUNICATION,” “ATTORNEY WORK PRODUCT,” and “SENSITIVE/PRIVILEGED COMMUNICATION.” National Security Archive Director Tom Blanton told Kamen, “These automatic labels slow down all the processes, because they send a flag to the FOIA people not to release,” a sentiment reiterated by Secrecy News’ Steven Aftergood. 2003 multinational Iraq Survey Group report. The liberal Center for American Progress (CAP) released a 182-page report this week that found the Bureau of Alcohol, Tobacco, Firearms and Explosives (ATF) should be merged with the FBI. CAP’s findings echo long-standing Republican proposals. The CAP report found that ATF “is plagued by inadequate management, insufficient resources, burdensome restrictions and a lack of coordination,” and argues that the gun lobby, led by the National Riffle Association, has fought “to keep it a weak stand-alone agency. It has done so, according to the report, by lobbying Congress to keep ATF ‘underresourced’ and to attach provisions to appropriations bills, limiting its ability to do its job.” The Department of Justice, which oversees both the ATF and the FBI, supports maintaining the ATF as an independent agency. Director of National Intelligence General Counsel Robert S. Litt. 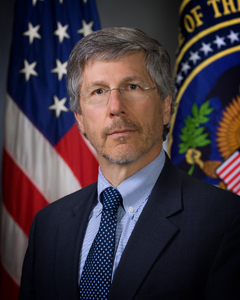 The General Counsel for the Office of the Director of National Intelligence, Bob Litt, recently weighed in on a debate surrounding the classified annexes that accompany intelligence appropriations bills, none of which have ever been made public and that Seven Aftergood characterized as “secret law.” Aftergood initially noted that the annexes “legislatively establish programs, allocate resources, impose requirements and prohibitions on executive agencies, and more– all without public notice or accountability.” He notes, however, that the secret intelligence legislation is but “a subset of an even larger problem of secret congressional records that, once classified, remain that way indefinitely.” Litt responded by saying, in short, that, “The schedule of authorized amounts that is contained within the classified annex does have the force of law, but the rest of the classified annex does not.” Aftergood accepted the correction, and applauded Litt for participating in the public dialogue. The Office of the Director of National Intelligence declassified 103 documents recovered from the Abbottabad compound in Pakistan where Osama bin Laden was killed in 2011 this week. The released documents – which are a small fraction of those recovered – include bin Laden’s reading material, which the ODNI has dubbed “Bin Laden’s Bookshelf,” and an application to join al Qaeda that includes space for the applicant to indicate if they wish to participate in a suicide mission. 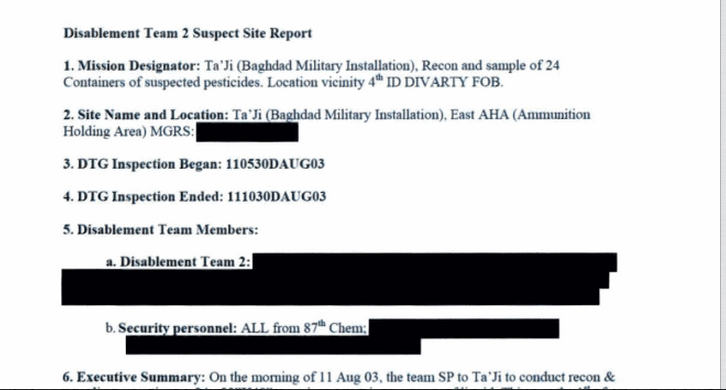 The Army’s Delta Force “came away with a treasure trove of materials” after this weekend’s raid to kill the Islamic State’s finance chief in Syria. A spokesperson said the team “left with laptops, phones, documents and, likely, hard drives, DVDs, CDs and SIM cards,” and an initial assessment of the records’ contents is currently underway. Poland is paying a quarter of a million dollars in reparations to a Palestinian man and a Saudi national, who were charged with orchestrating the 2000 USS Cole bombing and were held at a CIA “black site” prison in the eastern European country where they were tortured by CIA interrogators. Last July the European Court of Human Rights ruled Poland had violated the men’s rights, and required Poland “seek diplomatic guarantees from the United States that the suspects not face the death penalty, a request that Poland sent several weeks ago,” in addition to the reparations. The case has caused tension in part because no US officials have been prosecuted in connection with the CIA’s torture program. The plaintiffs are currently held at Guantanamo. The Special Inspector General for Afghanistan Reconstruction (SIGAR) announced that Afghanistan’s future “is threatened by the [US] military’s chronically poor intelligence on Afghan security forces and an anemic central government in Kabul that is unable to operate on its own” during a recent speech in Washington. Part of the blame for the US’ poor intelligence on Afghan forces lies with the measurement system the US uses to monitor training successes, which has changed four times in the last decade, making meaningful comparisons virtually impossible. SIGAR also released an audit this Wednesday calling for disciplinary measures against three high-ranking Army officials in relation to waste and mismanagement at Camp Leatherneck. 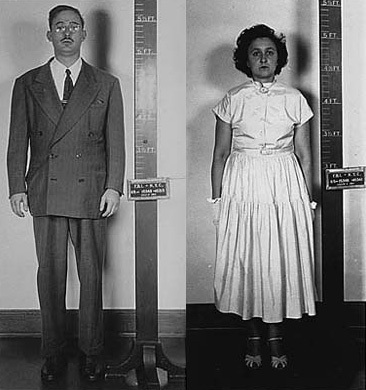 This week’s #tbt document pick is chosen with the Archive’s recent victory in obtaining David Greenglass’ grand jury testimony in mind, and are the grand jury testimonies of Ethel and Julius Rosenberg, which the Archive and historical associations won the release of in 2008. The posting also contains the testimonies of 41 of the 45 witnesses who appeared before the grand jury between August 1950 and March 1951.